Since the creation of the Fourth Commission on the Medjugorje events, proponents of the so-called apparitions are busy at desperately manoeuvring to disseminate their own deceptive vulgate and influence the judgment of the experts before the end of the Commission’s work. 1] The predecessor (Mgr Pavao Zanic) of the present Ordinary of Mostar (Mgr Ratko Peric) has persecuted some Franciscan Friars, especially Frs. Jozo Zovko and Tomislav Vlasic by broadcasting slanderous accusations about them, notably of Fr. Vlasic having fathered a child, “a claim that was soon revealed to be baseless, but none the less has been repeated ever since”. The real father of the said child was a former Franciscan established in the USA, according to Fr. René Laurentin. 2] Fr. Tomislav Vlasic was not the “spiritual director” of the visionaries. 3] The Ordinary of Mostar and his predecessor are/were alone negatively and stubbornly biased against the so-called apparitions. 4] The non constat de supernaturalitate judgment is negative, when coming from Mgr Zanic who had arbitrarily chosen the members of the first two commissions, but “neutral” and not “negative” when maintained by the Yugoslavian Bishops Conference. 5] The Ordinary of Mostar and his predecessor have been “discarded” by the Congregation for the Doctrine of the Faith regarding the Medjugorje issue. 7] The so-called apparitions have nothing to do with the Herzegovina affair and should be “separated” from it. 8] A Church judgement on the authenticity of the apparitions cannot be made as long as they continue. 9] After his “private” visit to Medjugorje, Cardinal Christoph Schönborn, Archbishop of Vienna, excused himself to the Ordinary of Mostar (2010). 10] Fr. Jozo Zovko has been persecuted by the communists and imprisoned for his “faith” (1981). 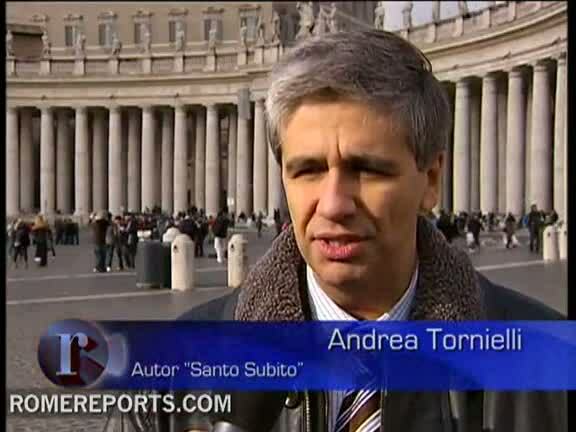 Almost four months ago, I reacted to the article “Medjugorje: Communists against apparitions”, published in La Stampa (2011-09-08) under the heading “Inquiries and interviews”, that perplexed me. – They supplied him a series of documents that fed the Ordinary’s hostility against the Franciscans of Medjugorje. – The said documents directly influenced the bishop’s actions by making him the main tool of the communist regime and the most determined enemy of the Medjugorje events. – While the Bishop of Mostar defended the visionaries and the Franciscans at the beginning of the events, the Secret Service heavily influenced the Ordinary’s decision to change completely his position from January 1982. – The objectives were to compromise the Bishop and to gather information on “hostile activities” of some monks — Fr. Jozo Zovko, who was said to have had a number of love escapades, being one of the compromised Franciscans. That piece of journalism, concocted especially by a vaticanist, puzzled me. My main concern was Mr. Tornielli’s insidious attack against the intellectual, spiritual and pastoral integrity of the former Ordinary of Mostar, Mgr Pavao Zanic, by an interposed Croatian Medjugorje propagandist, journalist Zarko Ivkovic. The Italian journalist didn’t “document” anything, didn’t verify anything: he copied/pasted very serious allegations without granting his readers any factual historical retrospective. Was Mr. Tornielli so ignorant of the facts concerning Medjugorje that he blackened Mgr Zanic’s integrity and reputation by identifying him as a blind marionette of the Yugoslav communist regime? The vaticanist was the first commenter of my post, a few hours after its release. “Is a fact that the communist were trying to control and influence Medjugorje phenomenon, and that they were trying to influence bishop Zanic. – There seems to be nothing more in your article in La Stampa and in your Blog post that what is found in the book description’s blurb released on the publisher’s website. – As far as I have been able to understand from the automatic translation, your interview with Mr. Ivkovic “published in a different article” in the paper edition of La Stampa is neither referenced in the electronic edition nor in your Blog post. Is the international reader not justified to perceive both of your accessible electronic articles — the first one released by La Stampa, the second one on your complete control — as a coherent whole that reveals your position? – Have you not used Antonio Socci to back up the attack against Mgr Zanic and his successor, Mgr Peric — thus avoiding a counterbalance that should have been submitted by an objective journalist to Mr. Ivkovic’s agenda supported by Cardinal Schönborn himself, a Medjugorje propagandist? – As a vaticanist, would it not have been appropriate to interview the actual Bishop of Mostar who is concerned by those allegations? Or his spokesperson? May I suggest that a well informed critic who is geographically nearer to you, Marco Corvaglia, could have helped you to explore some discerning points of view, quite different from those you are used to hear like the ones of Fr. Livio Fanzaga, the Director of Radio Maria where you host a monthly tribune? – I don’t put into question that the Yugoslav communist regime has tried “to control and influence the Medjugorje phenomenon”, and “influence Bishop Zanic” — we agree on that. – My main point is that you convey the allegation that the Secret Service so heavily influenced Mgr Zanic’s decision that he changed completely his position from January 1982 — does the choice of that date point to a specific historical document? — making him a tool of the communist regime, thus its marionette concerning Medjugorje. As if the Ordinary had no legitimate intimate intellectual, spiritual and pastoral motive for the change of his initial spontaneous and positive assessment of the supernatural quality of the Medjugorje events — completely independent of the regime’s political stratagems. Unfortunately, Mr. Tornielli did not come back to medjupedia: total silence from his part. I have not been able to verify if he has taken my objections into account. But the attack against Mgr Zanic, and my reaction, drew the attention of the present Ordinary of Mostar, Mgr Ratko Peric, who published a response that Richard Chonak translated from Italian into English. Which in turn gave rise to Jakob Marschner’s post on Medjugorje Today. It has been also reverberated on diverse blogs critical of Medjugorje by Richard Chonak, Marco Corvaglia (Part1 and Part 2), Patrick Madrid, Terry Nelson, Mark Shea, Vincenzo. Mr. Marschner was a few months ahead of Andrea Tornielli when he reported on the Croatian book by Ivkovic et al., in June 2011. His articles had escaped my attention: Communists spied intensely on Franciscans and Medjugorje critics parrot old communist lies. The grave core of the treacherous attack against Mgr Zanic was there. In short, according to Mr. Marschner’s decoding, the communists invented the story that Fr. Vlasic had fathered a child with a nun and informed Mgr Zanic who disseminated the slanderous story all around the world, without any verification. Is that all true or simply a gross attempt to rehabilitate Fr. Vlasic at the expense of Mgr Zanic? Aren’t we left here with the terrible alleged constat that the Ordinary of Mostar lied outrageously and that Fr. Tomislav Vlasic was “innocent”? Who fabricated the story about the father of the nun’s child? The “Communist power-holders” or Fr. René Laurentin? According to my sources and documentation, the real story is quite different and very serious. Fr. René Laurentin would be the protagonist of a fabricated story intended to protect the said Franciscan and “save” the Medjugorje “apparitions”. Back in time, we remember that Fr. René Laurentin had “covered” a similar story in the following manner. “On November 28, 1985, the three priests of the parish (Ivan Dugandzic, Tomislav Pervan and Pero) were called to a meet­ing at the Bishop’s house in Mostar, along with the three seers, Maria, Ivan, and young Jakov (who was then 14 years old) , as well as Sister Janja, responsible for the community of sis­ters at Medjugorje, (today transferred as vice-provincial). The Bishop announced an accusation of misconduct against one of the Franciscan priests, formerly attached to the parish. The astonished guests asked, “What has this to do with us?” since the accusation referred to a period many years prior. This suspicion declared against an unsuspecting and presumably innocent man, could not have surprised them more. “The next day, the Bishop of Mostar presented the same re­port to the Commission. They also were very astonished and asked, “Why are you bringing this up in conjunction with these apparitions?” In the days before and after, the Bishop mentioned the same accusation to several of his visitors. Some were made to feel this constituted a decisive argument against the apparitions. There does seem to be more activity lately from the promoters – it does seem that promoters all know that the time is ticking away on that commission’s finding. With pressure building (I see one of the “visionaries” is going to Assisi) perhaps we are about to witness a “jump the shark” moment that will clarify exactly who these people are. At a time when most people would stay low – they are increasing their public presence. But whether that happens or not – it’s clear the pressure is taking it’s toll.